K.C. has updated his IntroBase64. All (10024) intros available at intros.c64.org are now available in IntroBase64. The intros will have screenshots, music/sound info (SID file) and a link to the online version. 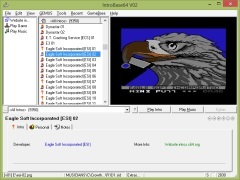 The VICE, CCS64 and Hoxs64 emulators are included and pre-configured.